You might be thinking I really need to get started on this kitchen remodel or, this bathroom needs major updating. You also probably have a few ideas bouncing around your brain about how you want your completed space to look or feel. This is how you get started creating the renovated room of your dreams. 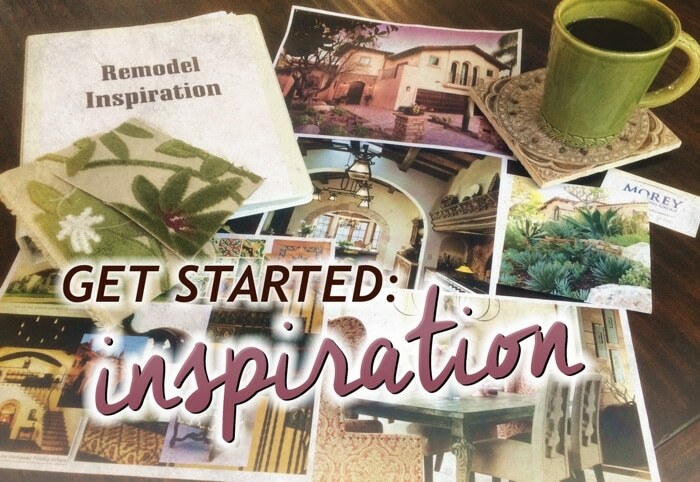 The first step to get started on your remodeling project is gathering ideas and inspiration. This is a great way to help clarify what it is you and your family want. Maybe you really like the cabinet finish your friends chose for their kitchen remodel or perhaps you’re enamored with a whirlpool-tub you saw on a home-makeover show. Now is the time to accumulate all these design ideas together. Take an empty folder or binder and label it “Remodel Inspiration”. Collect all the images of rooms and items that have tickled your fancy and put them all together. 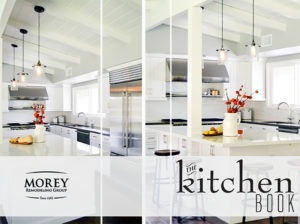 Besides shelter magazines, online sources like Houzz and Pinterest are overflowing with inspirational photos. Print out the best ones and add them to your collection. Seeing them off-line and in the context of your other images is more convenient for accessibility and examination. Get Started: Have fun, dream big and let your creative juices flow! Don’t limit yourself to just pictures of the type of project you’re working on. If you see an image and just connect to the “feeling” the picture conveys, put it in your book! I’ve seen inspiration for a beautiful bath remodel pulled from a seemingly unrelated image of a cat. Really. The homeowner had a picture of a Seal Point Siamese cat that had matte beige/taupe fur with patches of off-white and rich cocoa-brown on its paws, ears and face offset with shiny, vibrant-blue eyes. This design inspiration translated into a sophisticated bathroom design with rich cocoa-brown cabinetry, beige/taupe plank-tile flooring and off-white fixtures. The matte finished off-white shower surround tile was accented with shiny vibrant-blue glass mosaic. It is gorgeous! When you’ve collected all these random pieces of inspiration together, you will begin to notice (as will your design team) that some common threads run through your selected images. A picture does say a thousand words and excels at communicating concepts like “airy”, “stimulating” or “comfortable” that mean different things to different people. Your gathered collection of ideas is essential. This “Remodel Inspiration” folder will be an invaluable aid in helping define and drive the aesthetic focus of your project as well as direct and influence the array of decisions that will need to be made during the remodeling design process. so what are you waiting for? Let’s get started!